We are excited to showcase and celebrate some of the great research happening across UTDRO through the submitted abstracts, oral presentations, and posters for Research Day. 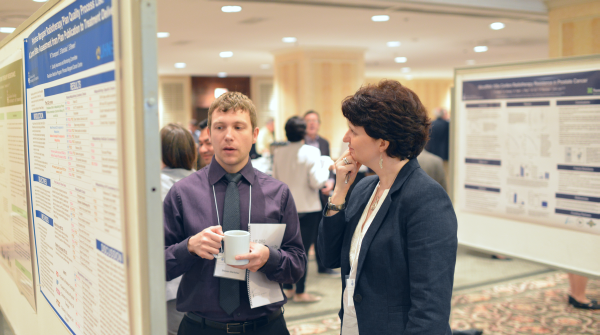 We encourage all of our trainees to submit their abstracts for an opportunity to present their work. Faculty members please encourage your team to submit their work and distribute this communication as necessary — any trainee supervised by a UTDRO faculty member is eligible to participate. Oral presentations should be done in Microsoft Powerpoint. They will be uploaded onto a laptop on TBD, a few days prior. A supply of Velcro dots will be available in the poster area for mounting your poster. We will be holding a Rapid Fire Session for the posters. All poster presenters are required to participate in the Rapid Fire Session. Each presenter will have 1-minute to present 1-3 key take home messages about their project. A single Powerpoint slide needs to be submitted for the Rapid Fire session and should include your name, the title of your presentation, and what your research project is about. The Powerpoint slide is due TBD. Posters need to be removed at the end of the day. Those left behind will be placed into recycling.